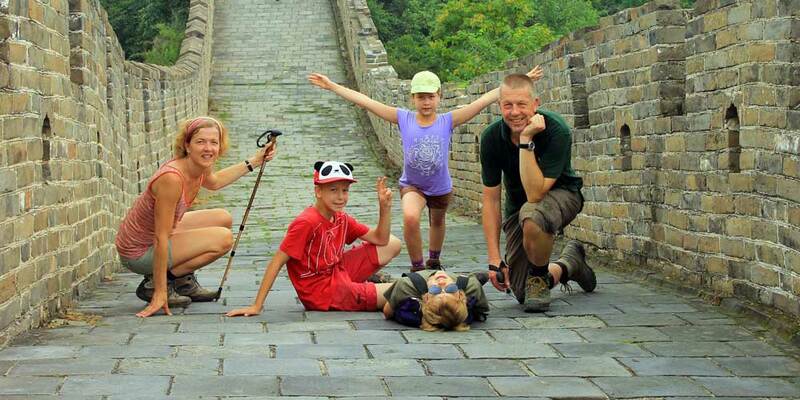 Wild Great Wall Adventures Tours- Hiking & Trekking Guide | A true taste of Great Wall through hiking! Book Your Holiday With Confidence. Experience vast contrasts of hiking from wild Jiankou to restored Mutianyu. Be totally amazed by Jiankou Tower. Enjoy the incredible and spectacular views from Zhengbeikou Tower. Pass through towering Ox Horn Edge. Keep away from the masses and try this classic hike in very small groups. A unique and authentic insight into the Great Wall. Explore the unique water Great Wall in the company of experienced knowledgeable guides for an unforgettable outdoor experience. Participate in full day of Huanghuacheng Great Wall and mountain walking at your own pace, enjoy the tranquility of wild Great Wall followed by home-grown meal in a fascinating day. Ideal for active Great Wall holiday seekers. Enjoy an uncrowded adventurous hike to see the Great Wall at Gubeikou, and a day to remember for the rest of your life. Pass through Spider Valley, take a detour through military land, hear fantastic Great Wall history, Best views from seating at 24 window tower, a yummy farm style lunch, friendly guide are included in the price. Adventure travel on the most popular Jinshanling. Explore broken towers along the way. Walk towards Jinshanling East with memorable hiking experience. Be amazed by the steep slopes on the halfway. Feast on a home-grown meal after your hike. Spend a hiking-filled day away from the hustle of mainstream tourism. Step into the tranquility of the splendid Mutianyu in the morning followed by great strolling around experience of the stunning Summer Palace in the afternoon, yummy lunch with toboggan ride / chairlift option also available. Photography stop at world-class "Bird's nest". Full day tour in a great no-hassle way to see the most breathtaking views you’ll ever see! Discover the picturesque Jinshanling through the eyes of a photographer! Take pictures of stunning landscape with plenty of photographic opportunities. Capture the best of Great Wall with private vehicle pick-up & drop-off. Flexible tour for independent photo explorers. Take a full day self -guided walk to the historic Jiankou & Mutianyu with toboggan ride / chairlift option also available. Tasting unrestored Jiankou to restored Mutianyu with plenty of photography stops, resting. Lunch at local farm style dish restaurant if required. Enjoy the freedom, flexibility and adventure of hiking on your own. Spend some quality time on the wall and have lots of fun. You Deserve Some Peace and Quiet! Hi, I am Rick, co-founder of WGW Adventure Tours. We invite you to join us on an adventurous, comfortable and safe Great Wall hiking & camping tours by my team of knowledgeable, professional and fluent English-speaking guides as you explore Jinshanling, Jiankou, Gubeikou etc. We want you see the Great Wall we know and love, they are usually peaceful, often wild. Looking forward to seeing you in Beijing.